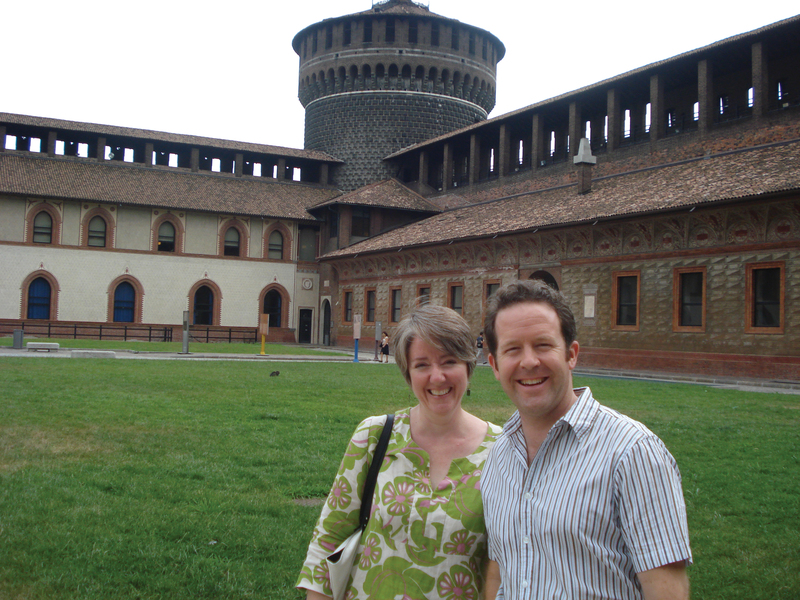 Truman professor Julia DeLancey and Truman alumnus John Garton (’97) in the courtyard of the Castello Sforzesco in Milan, Italy. The group participated in site visits to see da Vinci’s works first hand. One visit included the da Vinci painting collection at the Uffizi Gallery and a conservation lab where they were able to observe two paintings being preserved. During the seminar, the group also heard lectures by da Vinci experts and engaged in discussions with fellow participants. 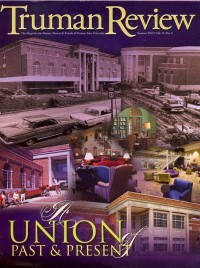 The scholars also worked on individual projects as part of the institute. DeLancey noted that motion was of great interest in da Vinci’s time, and during the Renaissance, movement was believed to be connected to how people felt inside. Like any motion, the act of kneeling revealed something about a person’s inner state, and DeLancey’s project examined a notebook page in which da Vinci was working on an anatomical study of the leg from the middle of the thigh to the foot. On the page, he also wrote about the body’s functions and how these affect sculptors and painters. “I feel much more comfortable talking about da Vinci and have the tools to help students study him,” said DeLancey. The conference also encouraged interdisciplinary thinking, and the group included professors from various backgrounds, including art and engineering, and each member brought varying perspectives to the discussions. “People were unfailingly collegial and supportive and engaged,” DeLancey said. Garton noted that looking at so much da Vinci material with anatomists, geologists, historians of technology, a poet laureate and other interesting specialists has allowed him to teach the artist’s work from a variety of perspectives that are sometimes under-represented in art history. Both Garton and DeLancey plan to continue pursuing their research on da Vinci.